While the average person may hate those little yellow flowers that often seem to take over the lawn, herb-savvy people know that dandelions are more than just a common weed. It has value as food as well as medicine. One of the most popular uses is as a tasty tea. In the U.S., dandelions are looked at with disdain, but in countries such as China, France and Germany, dandelions are actually cultivated. Rich in vitamins, young dandelion leaves are enjoyed in salads or as a cooked green vegetable. Some people enjoy deep fried dandelion flowers as a treat while others make them into wine. Before dandelions bloom in the summer, the leaves can be harvested and dried to make dandelion loose leaf tea. This tea has been used for many health issues. Traditionally, dandelion is thought to be useful in treating kidney and liver disease and well as for treating digestive issues. In these modern times, dandelion is used as a natural diuretic and for treating digestive issues. Medline Plus states that there is not enough scientific evidence to support the many health claims of dandelions, but herbalists often recommend it to help treat anemia, bladder infections, constipation and other digestive complains, liver problems, gallstones and more. If you'd like to try dandelion tea yourself, you may want to start with making your own. Unsprayed dandelion leaves can be harvested, washed and dried in the sun or with a dehydrator, much the way you would dry basil from your garden. Then it can be crumbled and used for tea. The University of Maryland Medical Center recommends one to two teaspoons of dried dandelion leaves steeped in hot water for five to ten minutes. This can be enjoyed as often as three times a day. If you can't, or would rather not, make your own tea, there are several brands of high quality tea that you can purchase. Most teas you will find are made from the dandelion root, but loose leaf tea is also available. Mountain Rose Herbs: Mountain Rose Herbs offer dried dandelion leaf in bulk. It can be purchased in one pound, eight ounce and four ounce orders. Their dandelion is certified organic. Starwest Botanicals: Pacific Botanicals also offers certified organic dried dandelion leaf. You can purchase anywhere from one pound to 100 pounds or more! Dandelion tea may irritate the stomach lining in some individuals. It increases the amount of bile produced. People that have gallstones or gallbladder ailments should not drink dandelion tea. Occasionally, individuals who are allergic to plants in the daisy family may experience skin irritation when handling leaves or extract. Individuals who are diabetic should carefully monitor their blood sugar levels when drinking dandelion tea. The tea also counteracts the effects of antacids and drugs that reduce acid production in the stomach. Despite its bad reputation, the dandelion plant is very versatile and can be used in many ways, from soups and salads to tea and coffee. The plant can be grown in just about any environment. The best times to harvest the various parts of the dandelion plant are in early spring or after frost has passed. This is when the parts of the plant are the least bitter. Dandelion tea can be used to treat a wide variety of ailments, though most notably as a diuretic to purify toxins from the body. Since it increases bile production, many people use it to stimulate the appetite or to aid in digestion. Be sure to discuss your use of herbs with your doctor. While dandelion tea is considered safe and is rich in vitamins, it can interact with certain medications. 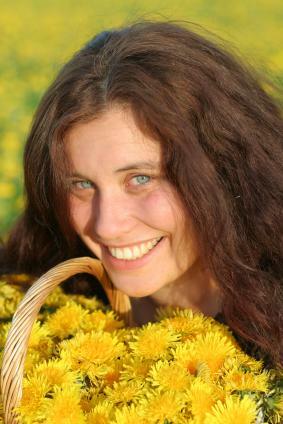 Let your doctor decide if dandelion tea is safe to enjoy with your current medications.